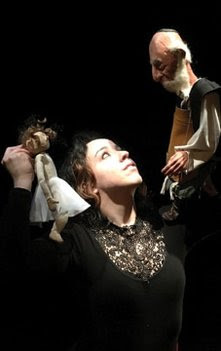 On Friday November 30 and Saturday December 1 at 7:30pm, Sandglass Theater in Putney will present Puppet Crimes, an original hand puppet show by Jana Zeller and her Spybird Theater. 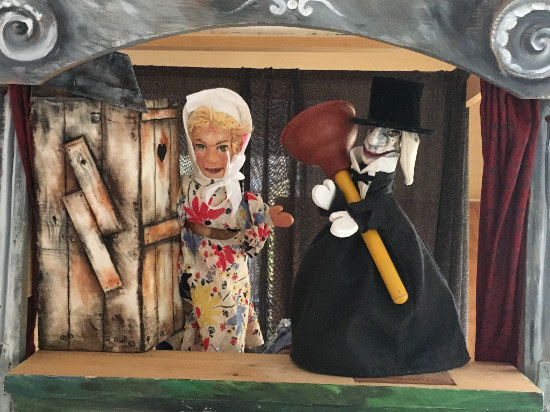 This raucous puppet piece features traditional German hand puppet heroes Kasper and Gretel as they struggle to survive in an old shack on the margins of society. 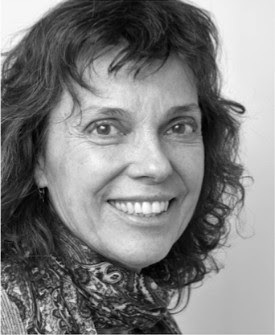 “There is a synergy between the Putney Food Co-op and Sandglass Theater. A piece about belonging, memory and love between generations. This year as part of the Putney Craft Tour Sandglass Theater is pleased to present When I Put on Your Glove. On November 23rd and 24th at 7:30 pm When I Put on Your Glove by Shoshana Bass will play the stage at Sandglass Theater in Putney. Last year Eric Bass took Autumn Portraits to the Lizé International Puppet Festival in Taiwan then returned to Putney to play this signature piece at Sandglass Theater for the last time.